The NetVanta 3458 is an ideal solution for multi-T1 and Metro Ethernet deploy - ments. This modular access router uses RapidRoute technology to deliver the high-packet throughput required for IP telephony, corporate connectivity, and Internet access. 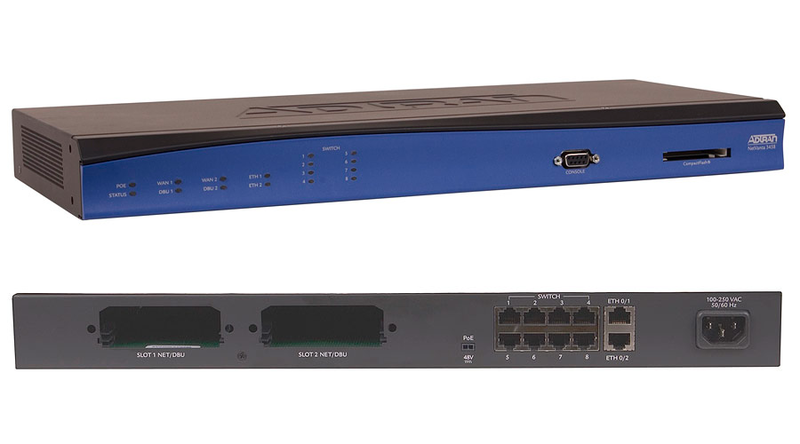 Supporting up to 4 T1s worth of bandwidth and 40 Mbps for Metro Ethernet throughput, as well as providing 8 PoE switch ports for LAN connectivity, this performance-enhanced platform delivers wire-speed throughput, even with advanced services enabled like Quality of Service (QoS), NAT, firewall, and VPN.